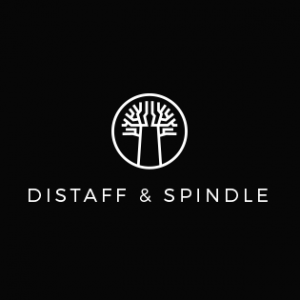 One of the things Distaff&Spindle has been created for is to make money to pay for medical costs for a woman i know who has experienced difficulties with pregnancy. In the past she has lost many babies in the first trimester because of some unknown cause. It caused unimagined heartache and, reportedly, was a reason for her inlaws to counsel her husband to divorce her, since she couldnt provide him with children. She was additionally the victim of bullying from these family members. When she came into contact with me through a mutal friend we collaborated, using the money D&S’s supporters so generously gave (in exchange for beautiful products. 😉 ), to put her into contact with obs/gyne professionals who knew what they were doing (rather than some of the hokey doctors one can easily find here for a fraction of the cost… for a much higher cost in physical and emotional strain due to their ‘diagnosis’). It has been over a year of prayer and petition to the Almighty Knitter of Babies, working with doctors to determine the problems,obtaining bloodwork, going across town to see the sonographer, being careful with what she did, eating prenatal vitamins and iron supplements, sending home chicken giblets because they’re high in iron, more prayer and a growth of hope and anticipation for what He could do. When she announced that she was pregnant we shouted loudly in the front drive. As she grew in size we laughed together, pleased at how huge she was getting. After she passed the fretful 1st trimester mark we sighed a collective breath of relief. and thanksgiving. The frightful trip to the doctors’ office because of leaking fluids was a renewed call to bend the knee and trust that He knew what He was doing when He gather us together as a group of women bent on one project alone: a healthy baby for the Glory of His Name. Yesterday my friend who is a midwife called to tell me that the baby was on the way. She came healthy and whole. Baby Jaella. The fulfillment of God’s love and mercy and grace. The answer to our prayers and hopes and investment of love, time, energy and finances. The momma had a bit of a stressful post-partum period: bleeding from an unknown source. As I served as the ambulance to drive her from the midwife-mobile in my friend’s driveway to the hospital 10 minutes away I had feelings of traumatic deja-vu, of when i was the one in the back fighting the fear of what could happen if i bled out, with a husband and a new infant left behind.. But it’s all good now. The uterus is swept clean, the bleeding stopped and her voice was so strong and happy on the phone this morning. Ready for me to pick them up, pay the bill, and take them home. Tiny new family member in hand. I sigh with contentment and allow the tears of thanksgiving, of awe in the power of the creator of humankind to have all things in His mighty and compassionate hand, to overflow in Praise. Her name is Jaella. I call her Gloria in my mind. For she is here for the Glory of His Name. Thanks to the Girlfriends who received my sporadic Girlfriend Edition newsletters and prayed with me for this pregnancy. I picked them up from the hospital this morning, everyone smiling and uber thankful. They say to pass on their thanksgiving to all those who prayed for them and gave of resources (prenatal vits, money for the sale items, etc). We all chatted on the drive home how God had blessed them so abundantly that this wee baby girl came after 5 years of waiting. Praise the Lord! This is fantastic news. Thanks for sharing and congratulations to the new Mom and Dad. What fantastic news! Praising God for this beautiful gift! What beautiful, happy, miraculous, JOYOUS news. May God bless this little family abundantly and add more!! !